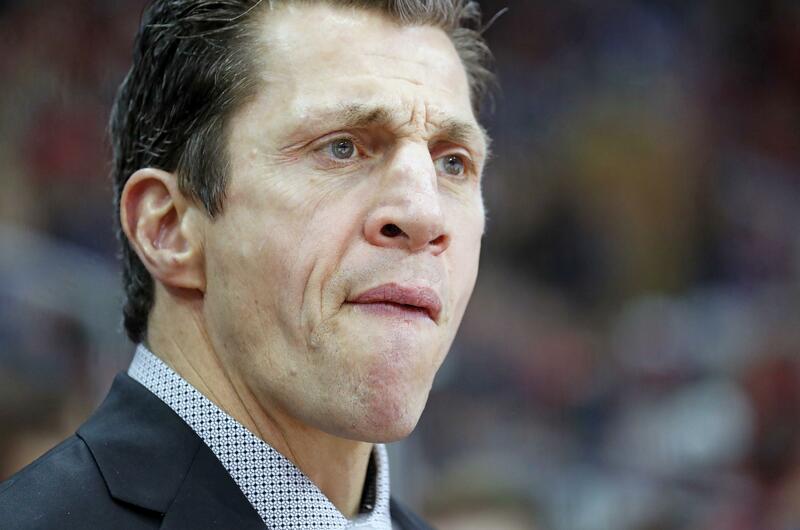 UPDATED: Tue., May 8, 2018, 8:51 a.m.
RALEIGH, N.C. – The Carolina Hurricanes hired former captain and current assistant Rod Brind’Amour as their coach Tuesday, hoping the “greatest leader” in franchise history can end a nine-year playoff drought. A month later, Hall of Fame player and general manager Ron Francis – who, like Brind’Amour, has his jersey number hanging from the PNC Arena rafters – was reassigned to another front-office position, and his contract was terminated last week. In between, Peters – who was hired by Francis in 2014 – exercised the out clause in his contract, saying the incoming general manager should be able to pick his own coach. Published: May 8, 2018, 8:18 a.m. Updated: May 8, 2018, 8:51 a.m.